Economic reform and political development in China are reshaping the global system in the 21st Century and bringing about an unprecedented social transition within China itself. China Currents is a forum for thoughtful, concise articles about what is happening in contemporary China. This book is a collection of articles from past issues covering a broad survey of change in China based on recent academic research and the experience of practitioners both inside and outside of China. The authors provide different perspectives reflecting their professional work and wide-ranging knowledge about China. Appropriate for anyone interested in China, the articles are written with depth and detail, without jargon. Organized into six sections, the twenty-three articles span topics on China’s international relations, domestic politics, economic transition, emerging consumer markets, the evolution of business, and social progress and challenges. Articles focus on issues such as the China-Iran relationship, China’s evolving environmental institutions, self-government in the villages, the “street” view of President Obama, a migrant’s search for a better life, and much more. 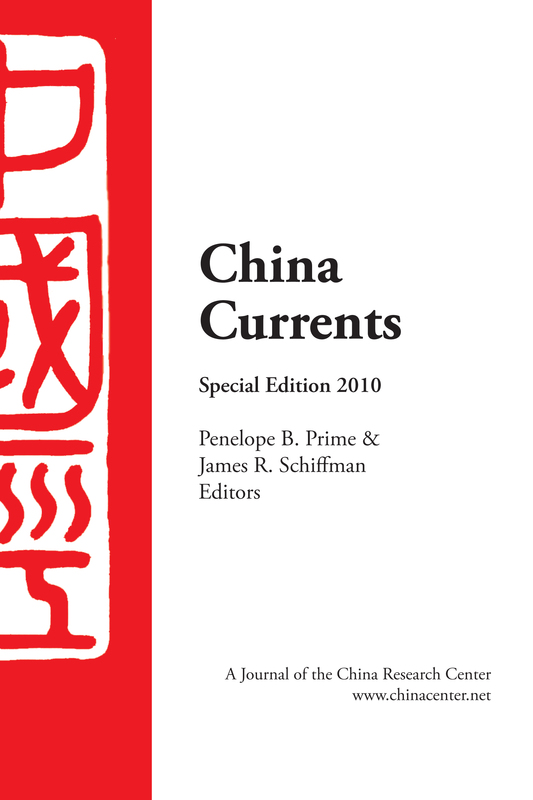 China Currents is published by the China Research Center, which is based in Atlanta, Ga.